In a match that felt like it was dominated by near misses and almosts, one break-through moment proved to be decisive. Nebraska (2-0-1) played 57 minutes with a one-goal advantage thanks to an Oregon (2-1) mistake, but put the match away in the second half and walked off Hibner Field with a 2-0 victory. 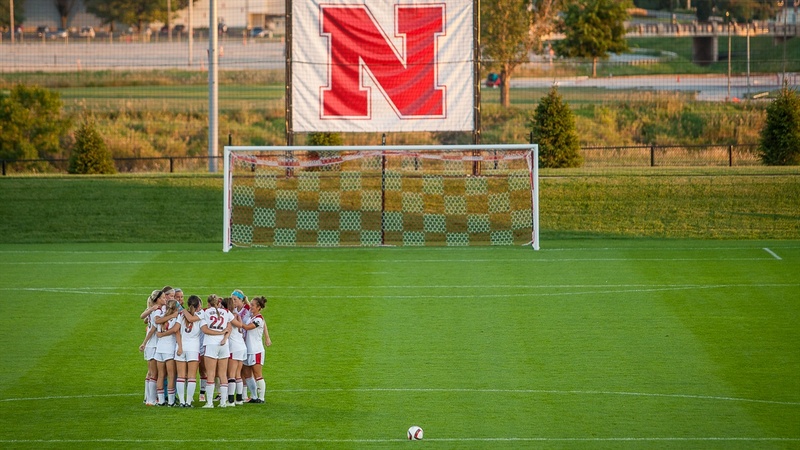 On Monday against BYU, Nebraska scored in the fourth minute of the match. On Friday, it one-upped itself with a second-minute goal off a corner. But Nebraska didn’t put the ball in the back of the net, Oregon did. An own-goal off a cross. The tone for the first 45 minutes was set right away. Two players collided near midfield in the match’s opening minute, a collision that resulted in the Duck needing help to her feet. Both women made a play on the ball, both missed and got each other. Midfielder Michaela Loebel pushed the ball up the middle on a counter, only to lose it with an off-target pass right to a Duck defender. Oregon drew a corner, Husker keeper Aubrei Corder missed her punch on an in-swinging ball and it fell right at the feet of a Duck attacker. She missed. Everyone just looked... off. Early season rust to shake off, maybe? Nebraska had a lead on the scoreboard at halftime, but it didn’t feel like they were controlling the game. That feeling bled over into the start of the second 45. Then Oregon lost possession right at midfield. Forward Elyse Huber pushed the pace on the counter with Uveges to her right and forward Natalie Cooke trailing to her left. Huber played to Uveges out wide. Uveges played back to Cooke near the top of the 6-yard-box. Cooke put it away. The prettiest play of the night yielded the defining moment. Huber was the sparkplug all night long. Her open-field quickness proved too much for the Oregon defense time and time again. It was her chase down of a touch-too-strong through ball down the right flank in that second minute that won the corner. It seemed almost ironic that Huber’s speed was on full display against the athletic program synonymous with speed. Asked postgame what she associated with the Oregon Ducks, speed was an answer. Power was another. Huber beat the Ducks’ back line with both. Just how fast is she? Huber just laughed. She’s run a 4.47 40-yard dash before. So, yeah. She’s fast. On the other side of the pitch, Nebraska’s defense pitched a shutout. Oregon had only four shots all game and looked even more off than the Huskers. Credit the Husker D for that. “Defensively I thought we were really solid,” center back Sinclaire Miramontez said. “From the start, we were making that one of our missions that we weren’t going to let anybody get past us. We take a lot of pride in defending our home turf. We don’t like teams to come and get results here. The motivation came from Monday’s disappointment. The Huskers surrendered two goals in the final fifteen minutes of regulation and drew 2-2 with BYU after 110 minutes of play. Nebraska led for 78 of those 110 minutes. A learning experience the Huskers have already put to the test on a young season.